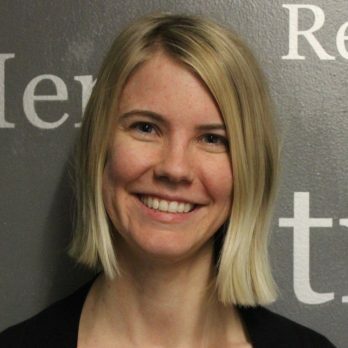 Instructional Technology Fellow Lindsey Albracht is a doctoral candidate in the English program (specializing in Writing Studies) at the Graduate Center, CUNY. Her dissertation examines the vision for faculty development articulated by student activists at City College in the years leading up to the passage of the policy of open admissions to consider contemporary implications for writing program administrators who lead faculty development in large, public, urban institutions. In addition to working as an Instructional Technology Fellow at Macaulay, Lindsey also works at Baruch College’s Center for Teaching and Learning as a Digital Pedagogy Specialist. She is currently co-designing The CUNY Game: an open-access, interdisciplinary game-based learning module for teaching CUNY student activist histories to current undergraduates through using the CUNY Digital History Archive. She is the co-author of the Active Learning Strategies repository, and her forthcoming chapter on multilingual student activism and open admissions will soon be published in an edited collection entitled Racing Translingualism in Composition.